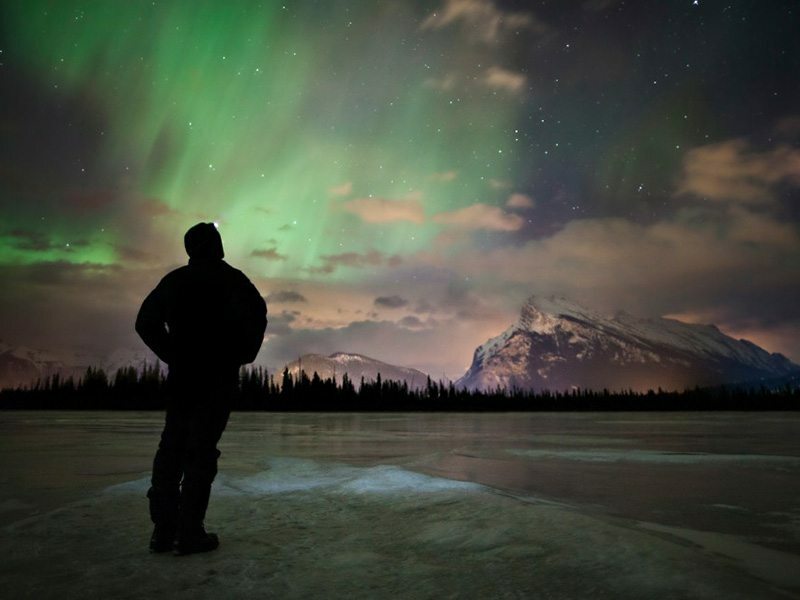 In this section, we try to answer some of the common questions about Banff and Lake Louise. If there’s anything we haven’t covered, please contact us for an answer. What is the average temperature in Banff? 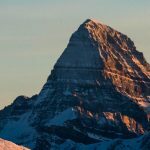 How far is the drive to Banff? From the airport its a safe and scenic 90 minute drive on the Trans-Canada highway. Learn more about getting to Banff. How long does it take to fly here? Yes, because the town of Banff is within the National Park boundary, you are required to pay a use fee (as with most national parks and national historic sites) for the duration of your stay. This means that every time you visit a park or site, you’re investing in its future and in a legacy for future generations. Passes can be purchased in advance from Banff Lake Louise Tourism, at the park gate as you enter or at a Parks Canada info centre in either Banff or Lake Louise. For rates and further information please refer to Parks Canada’s site. 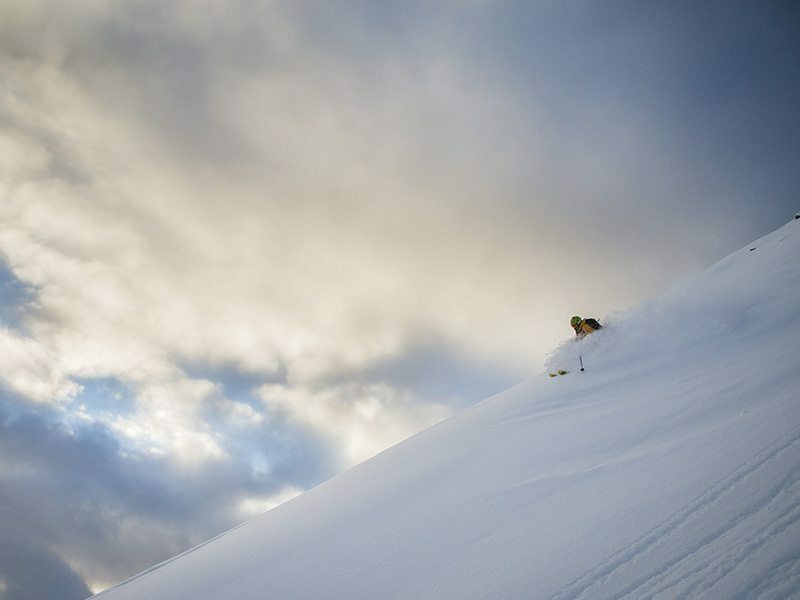 The Ski Big 3 resorts are known for their particularly light, airy snow – known as blue, smoke powder. 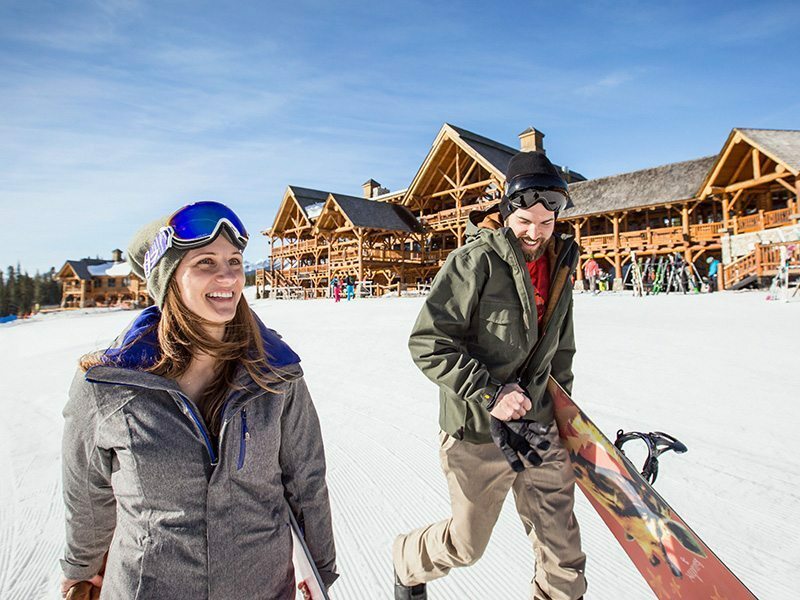 The three resorts collectively cover 8,000 acres of terrain and each of the hills has a variety of terrain. 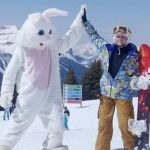 Beginners and experts can all find something just their speed at either Mount Norquay, Sunshine Village or The Lake Louise Ski Resort. What is the easiest way to get to and from the ski hills and to get around town? The Banff and Lake Louise area are know as a very walkable ski destination with a variety of shuttles and a user-friendly public bus system in place. While a rental car is convenient, it is by no means necessary. All three ski hills offer complimentary shuttles that running from Banff to their respective resorts and with various pick up points conveniently located throughout the town of Banff and a number of departures daily, the shuttle system is user-friendly and easy to use. If you are staying in Lake Louise, convenient shuttle service is the fastest and easiest way to access the Lake Louise Ski Resort – with no ride lasting more than about 10 minutes. Shuttle service is available from Lake Louise hotels to Banff Sunshine on select days of the week. We recommend double checking the posted schedule to confirm days and times. 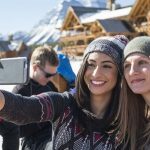 The town of Banff is easy to navigate on foot but, if you aren’t feeling up to it, traveling within town is made easy with a public transit system that runs 3 different lines as well as a regional service to the neighbouring town of Canmore. Fares are between $2 and $6 per ride depending on your destination and various discounted passes are available for those who plan to use the buses numerous times. Check our our blog post on how to survive car free in Banff and navigate the shuttle and transit system. Bringing your own gear can be expensive and cumbersome. With airlines charging extra for boot bags as well as skis or board bags, it is often more convenient and economical to rent gear once you have arrived. Whilst there are a myriad of rental places to choose from, prices only vary by a dollar or two so it is best to opt for convenience. 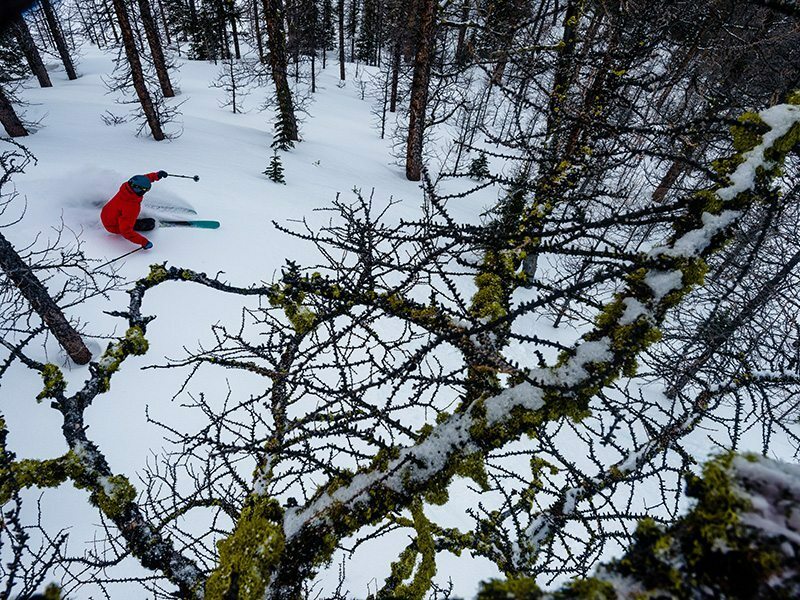 The SkiBig3 Adventure Hub located at 119 Banff Avenue, in the centre of town, has knowledgeable techs available to fit you to either mid-range or high-performance gear and will deliver it to your hotel once you have selected the equipment that best suits you. While there is no guarantee you will see wildlife (the animals roam free here! ), wildlife sightings are common sometimes even occuring within the townsite. You can tell who the locals are because they won’t stop or pause for an elk or deer sighting. It is simply too commonplace! A plethora of options are available in both Banff and Lake Louise so, whether it’s a luxury hotel or family friendly condo you are after, there are a number of choices to fit any budget. Purchasing a ski and stay package will often get you the best rate on hotel rooms and lift tickets. Feel free to call our reservations center at 1-844-754-2443 to speak to one of your local staff who can better answer your questions and provide insight. 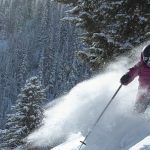 SkiBig3 is the official reservations desk for the three ski resorts, the largest central reservations in Banff, and have been in business for 40 years. 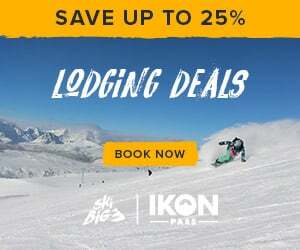 We negotiate rates with 40 hotels in Banff, Lake Louise and Canmore and combine them with special rates on SkiBig3 lift tickets to get the best deal possible. We’re so sure of our rates that we offer a best price guarantee, only requires a 5% deposit on purchases, and allow free changes on your orders up to 14 days before arrival. 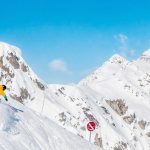 By booking with Ski Big 3, either through our website or through our in-house reservation team, you can book the best ski & stay packages at the most competitive rates. 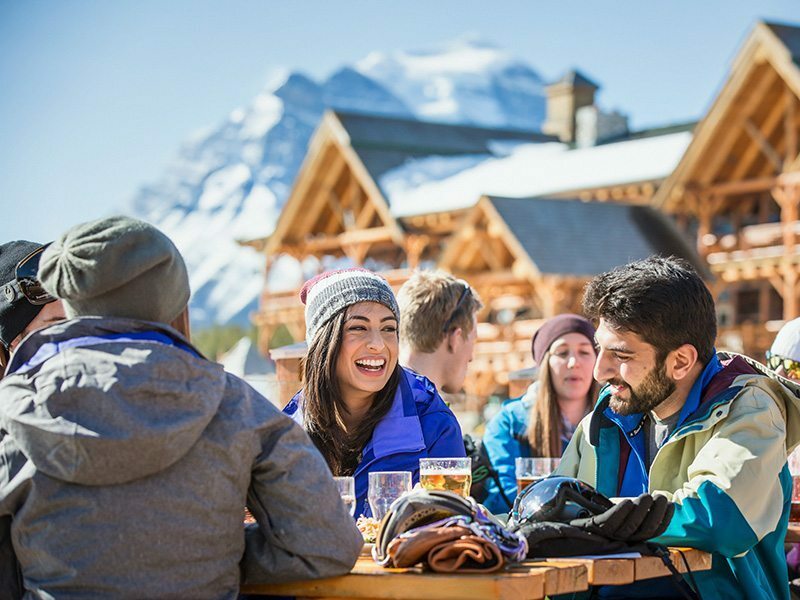 With a SkiBig3 lift ticket valid at all three resorts, award-winning ski school and full-service booking facilities with real people located in Banff simply a phone call away, we are here to help you build your perfect ski vacation. Changes can be made to a reservation 14 days prior to the check-in date. However, modifications may be subject to a change fee. $20 change fee applies within 14 days – Subject to supplier and rate availability. Check out our cancellation policy for full details. What is a “3 out of 5 days” ticket? 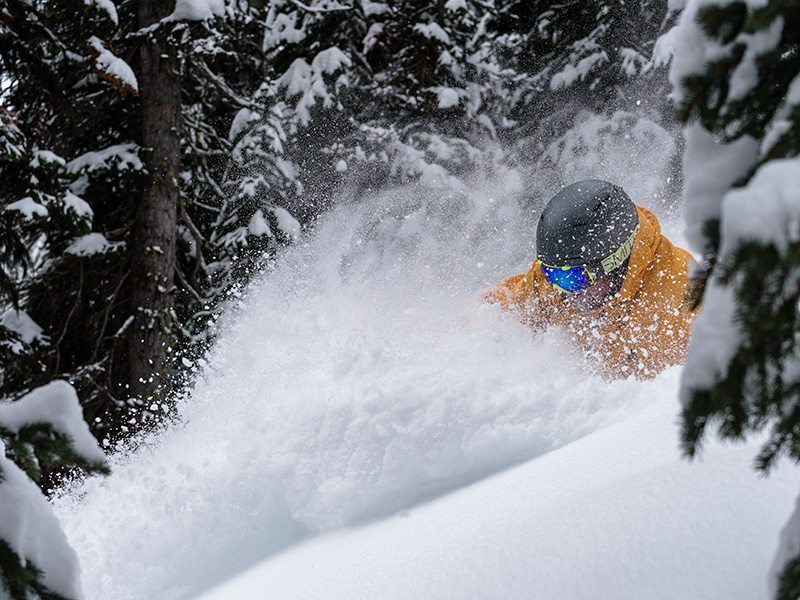 With the SkiBig3 Lift Ticket, you’re not tied to consecutive ski days. For example, if you select the “3 out of 5 days” ticket, you can ski for two days, rest for two days, and then ski again on day five. Ski or grace days can be taken any time during the date-window of your ticket. 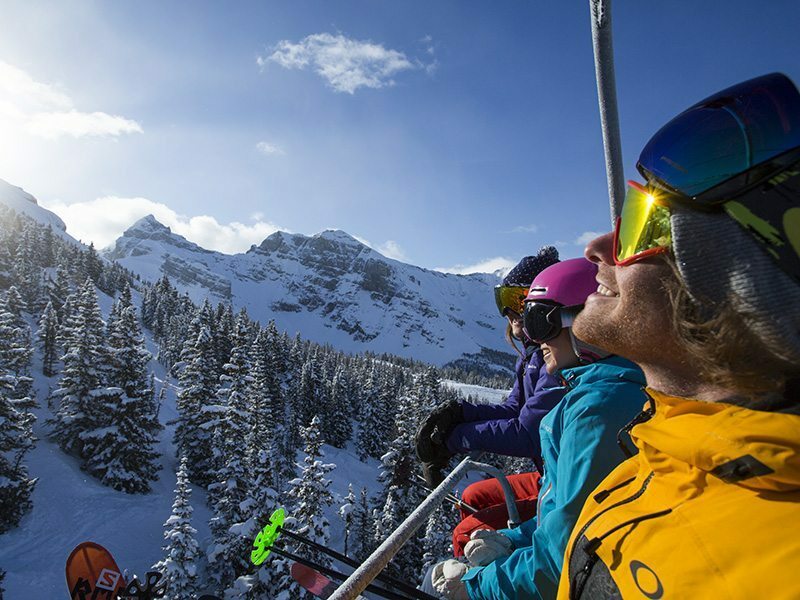 Your SkiBig3 Lift Ticket gains you access to Banff Sunshine, Lake Louise Ski Resort & Mt Norquay. Each day, you can decide which of the three resorts you would like to ski or ride (or hit two resorts in one day, it’s still considered “one day” of skiing). You’re always talking about your snow being the ‘lightest and driest’. How is it any different to anywhere else? There’s science in this snow. The light, dry snow that falls in the Canadian Rockies is known around the world. The winter in this region is long and the density of the water in the snow is lower compared to other winter destinations around the world. The dry climate means comfortable conditions for skiers, producing the region’s famous light, dry powder. 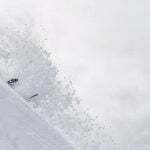 These consistent winter temperatures provide dry natural powder which fills The Lake Louise Ski Resort’s back bowls. On the sunny south slopes, one of the world’s most sophisticated and comprehensive snowmaking systems facilitates optimal conditions throughout the season. As a result of the reliable conditions, Lake Louise is the permanent official “Winterstart” venue for the World Cup, hosting both Men’s and Ladies’ speed events every year in November and early December, and, routinely, is the home of the Canadian Powder 8 Championships in March. 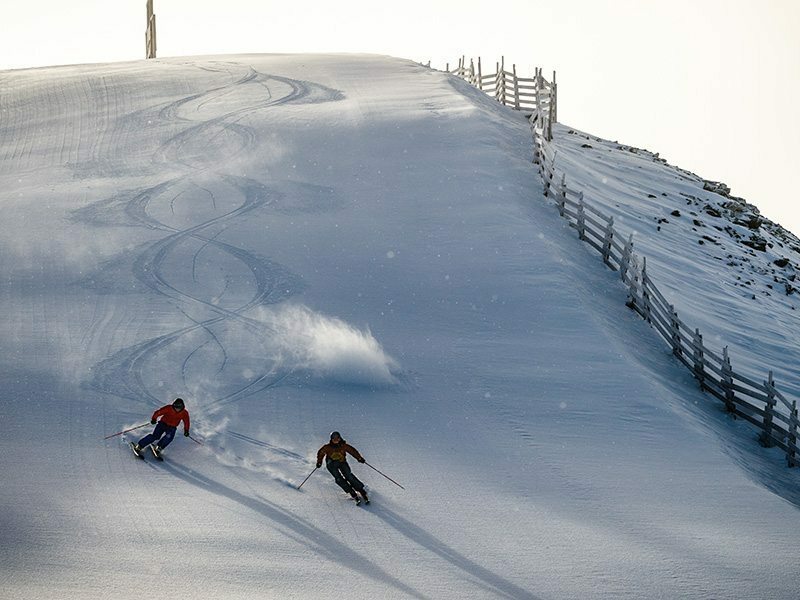 The World Cup at Lake Louise has only once not been able to run—and, astonishingly, despite that the races here are so early season, this was because of too much snow, not too little. Sunshine Village’s location on top of the continental divide provides the resort with an average of over nine metres (30 feet) of snow annually, which reduces the need for snowmaking to next to nothing. For safety reasons, Sunshine Village operates two snow guns for the lower ski-out and the ski and snowboard school beginner areas, at the beginning of the season. Once a base is developed, the snowmakers are turned off for the remainder of the season. Instead, Sunshine Village’s trail crew strings more than 30 kilometres of snow-fencing. Placed perpendicular to the prevailing winds, the fencing captures snow and builds the base without the need for artificial means. Mt. Norquay is also a consistently snow-sure choice. 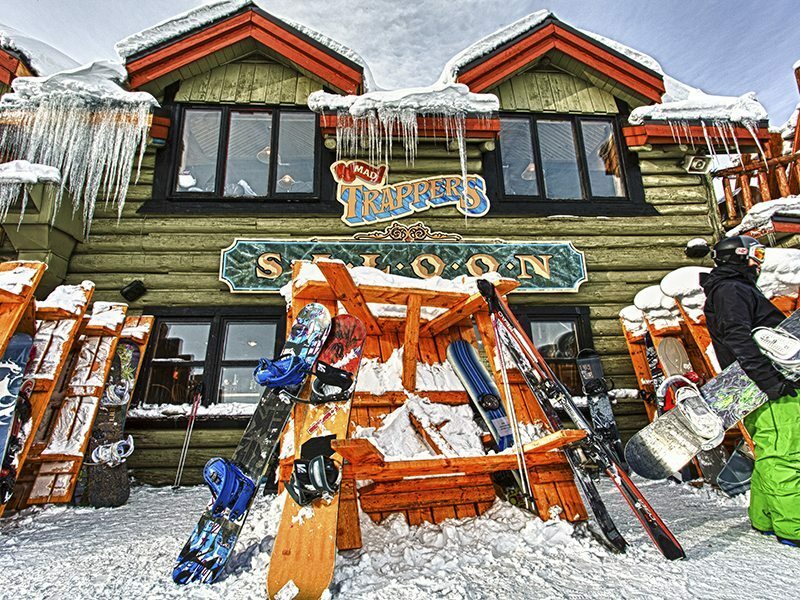 In 2009 it was the first mountain resort in Western Canada to open, launching the season on October 31. Year after year Mt. Norquay hosts ski racing teams from across the world as they begin early-season training.